Dorothea Nolte grew up in Warendorf (Westphalia), one of seven children. She studied law in Münster with the goal of working in public administration, at that time an unheard-of career for a woman. In 1922 she personally persuaded a reluctant Interior Minister Severing to grant her a position as the first female Regierungsreferendarin (governmental intern) in the Prussian public administration system. She followed this in 1926 with an appointment as Verwaltungsassessorin (probationary administrative civil servant) in Berlin and was soon promoted to the rank of Regierungsrätin (senior civil servant). In 1927 she married her colleague Albrecht Bähnisch, but not before Minister Severing had guaranteed that she would not be dismissed from her position, as was usually the case at that time for women who married. She was also determined to keep the name Thea Nolte, but since it was not yet legally possible for a woman to retain her maiden name after marriage, she simply combined first and last names and went by Theanolte Bähnisch from then on. When her husband was elected to the post of Landrat (district administrator) in Merseburg she gave up her own position in Berlin voluntarily. The couple had two children (1931 and 1933). 1933-1945: My life was in danger more than once…. 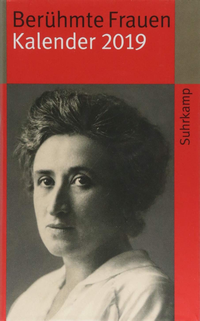 As early as 1931 she had published material critical of National Socialism in her own publishing house, the “Freiheitsverlag” (Freedom Publishers). From 1939 on she and her husband were part of the resistance group centered around Ernst von Harnack. Albrecht Bähnisch was drafted into the army in 1939 and since 1943 has been listed as missing in action in Russia. Theanolte remained in Berlin throughout the war, leaving only a few months before its end. Her children were with relatives in Colgone. In the spring of 1946 she was called to Hanover by Regierungspräsident (District President) Hinrich Wilhelm Kopf and asked to assume the office of Vize-Regierungspräsidentin. A few months later Kopf was named Ministerpräsident (Governor) of the newly formed state of Lower Saxony by the British occupation forces, and Bähnisch was chosen Regierungspräsidentin of the Hanover district. She was the first woman to hold such a post in Germany. In 1959 Theanolte Bähnisch was named State Secretary by Ministerpräsident Kopf with the job of representing Lower Saxony at the federal level as authorized envoy in Bonn. She held this office until she retired in 1964. As a member of the SPD (Social Democratic Party of Germany) Bähnisch worked closely with Hinrich Wilhelm Kopf and Kurt Schumacher, but her main political commitment after the war was the development of a new civic role for women. Like many at this time, Bähnisch was convinced that women had an essential role to play in the physical, social, cultural and political reconstruction of Germany. All women were called upon to participate in non-partisan, non-confessional (not church-related) women’s associations (Frauenausschüssen) in order to become an effective political force. 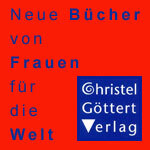 With this purpose in mind the “Club of German Women” was founded in Hanover in 1946, followed a year later by the “Women’s Organization of the British Zone;” in both instances Bähnisch served as chair. In 1949 women from the entire Federal Republic and West Berlin joined together in Bad Pyrmont to form the Deutscher Frauenring (DFR; German Women’s Organization), an umbrella group incorporating many local and regional women’s committees from the entire FRG. Theanolte Bähnisch was again elected chairperson. Attempting to avoid party politics, the DFR effectively represented the cause of women with lawmakers on the federal level and also devoted itself to the civic and political education of women. To further this goal, the inexhaustible Bähnisch started a women’s magazine, Die Stimme der Frau (The Woman’s Voice) in 1948; the magazine still appears today, under the name Für Sie (For Her/You). The initial efforts of the DFR and the Stimme der Frau to maintain political neutrality and remain free of party politics soon succumbed to the new political climate of the Cold War. Bähnisch was a committed follower of the pro-western policies of SPD-colleagues such as Hinrich Wilhelm Kopf and Kurt Schumacher and saw in Communism the danger of a new “Pied Piper” of the East; she was dedicated to immunizing women against this threat through her efforts at democratic education. The women from West and East, who had originally worked together, formed separate organizations, the “Demokratischer Frauenbund Deutschlands” (DFD; German Democratic Women’s Organization) in the Soviet Zone (later German Democratic Republic), and the Deutscher Frauenring in the Federal Republic. In the debates leading up to the new German Civil Code Bähnisch and the Deutscher Frauenring argued effectively on behalf of practical implementation of the new constitution’s Equal Rights Law. They also contributed to Germany’s renewed participation in international organizations after the war: Bähnisch campaigned successfully for the DFR to be accepted into the International Council of Women in 1951 and into the International Alliance of Women a year later. She herself was an active participant in many international women’s conventions and was elected as a vice president of the International Council in 1960. She saw the work of these groups as an important component in the movement for world peace. Theanolte Bänisch was awarded the großes Verdienstkreuz (superior Cross of Merit) of Niedersachsen and the großes Bundesverdienstkreuz mit Stern (superior Federal Cross of Merit, with star). She died in Hanover on 9 July 1973. A street was named in her honor in the neighboring town of Langenhagen. Clemens, Bärbel (1996): Theanolte Bähnisch (1899-1973). Wir Frauen müssen ein kluges Herz haben. In: Schroeder, Hiltrud (Hg. ): Sophie & Co. Bedeutende Frauen Hannovers ; biographische Portraits. 2 Aufl. Hannover: Fackelträger-Verl. Fels, Orla-Maria (Bähnisch) (1998): Theanolte Bähnisch. In: Deutscher Juristinnenbund e.V. (Hg. ): Juristinnen in Deutschland. Die Zeit von 1900 bis 1998. 3., völlig neubearb. Aufl. Baden-Baden: Nomos-Verl.-Ges. (Schriftenreihe Deutscher Juristinnenbund e.V, 1), S. 197–200. Freund, Nadine; Wolff, Kerstin: Um harte Kerne gegen den Kommunismus zu bilden… Die staatsbürgerliche Arbeit von Theanolte Bähnisch in der Zeitschrift „Die Stimme der Frau“. In: Ariadne – Forum für Frauen- und Geschlechtergeschichte, H. 44, S. 62–69.